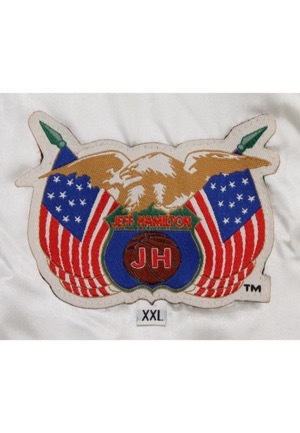 In the rear neck is the Jeff Hamilton “JH” manufacturer’s tag with an attached flag tag reading the size “XXL”. 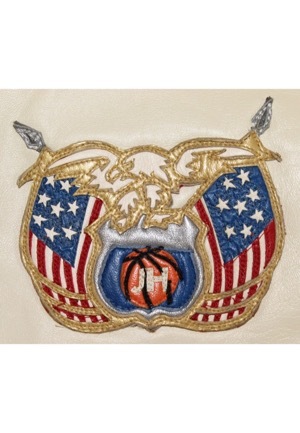 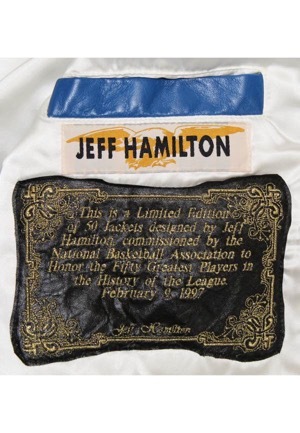 The inner left pocket has a strip tag that reads “JEFF HAMILTON” and below is a patch that reads “This is a Limited Edition of 50 Jackets designed by Jeff Hamilton, commissioned by the National Basketball Association to Honor the Fifty Greatest Players in the History of the League February 9, 1997”. 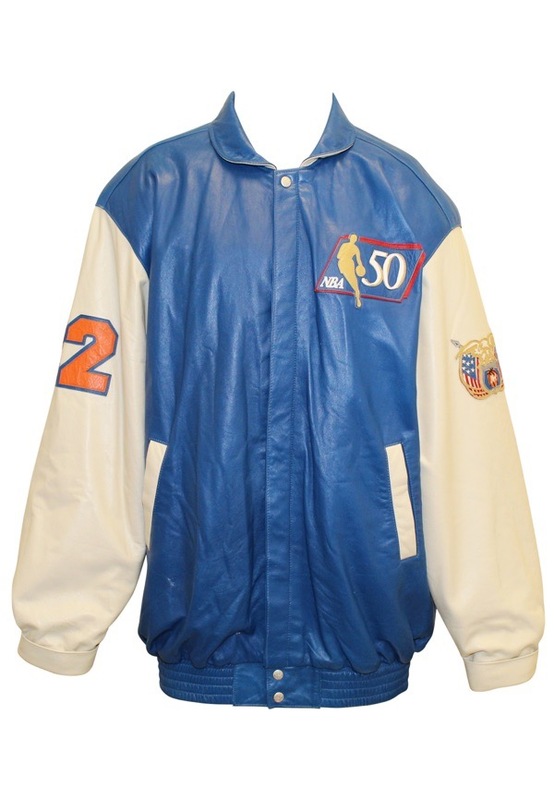 On the right sleeve is the number “22” in orange on blue leather and on the left sleeve is a “Jeff Hamilton” logo. 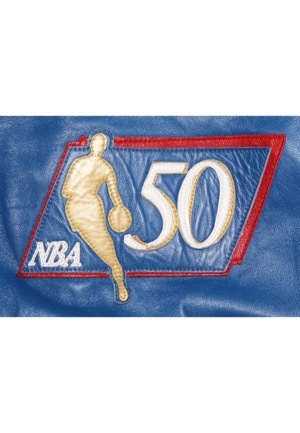 On the left chest is the “NBA 50” logo patch and across the back reads “KNICKS” in orange on white leather. 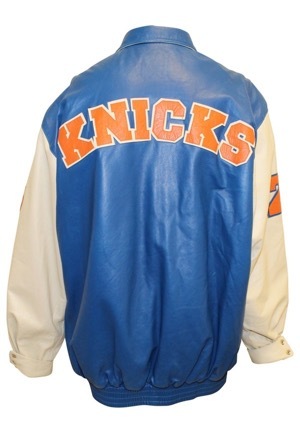 This jacket was originally sourced directly from Jeff Hamilton's warehouse and is the exact same as the one Dave DeBusschere wore on the court at the Top 50 ceremony.